Well, the results are in, and it looks like there’s no room for debate: Bardstown Road has been voted Louisville’s greatest street, trouncing the competition with 63 percent of the vote. We have to admit, it didn’t take a crystal ball to pick the winner of this contest, but the results are still interesting. West Main Street, recently named one of the Top Ten Streets in America placed third with only 10 percent of the vote and Fourth Street was shamed as it received not a single vote (We wonder how the results would change if you could vote against a street?). Southern Parkway, perhaps the greatest of the Olmsted parkways in Louisville, pulled in a surprising 8 percent—or three votes—to upset the gentrifying East Market Street. Frankfort Avenue came in a not-so-close second with 15 percent. So what does this tell us about great streets? According to our results (all 40 of them), people enjoy streets most when there are a wide range of activities (including daily necessities) in a generally dense area that’s able to be walked. 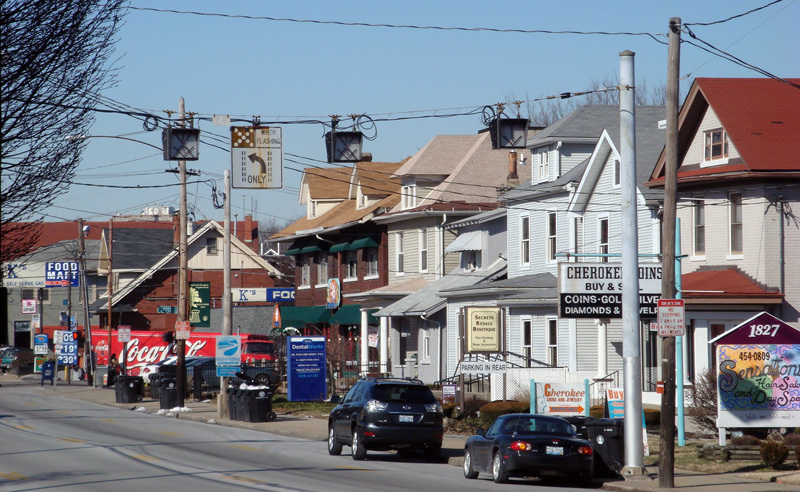 Our winners, Bardstown Road and Frankfort Avenue, both are surrounded by people living there and able to walk and use the streets frequently. The street doesn’t apparently have to be pretty, one of the traits that won West Main its national distinction, although it’s certainly a benefit. 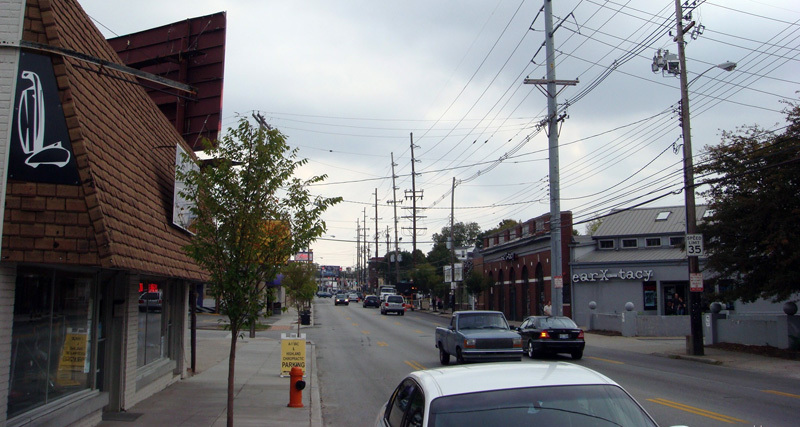 Parts of Bardstown Road and Frankfort Avenue are downright ugly, but the primary strengths of each are their abilities to facilitate life and interaction. 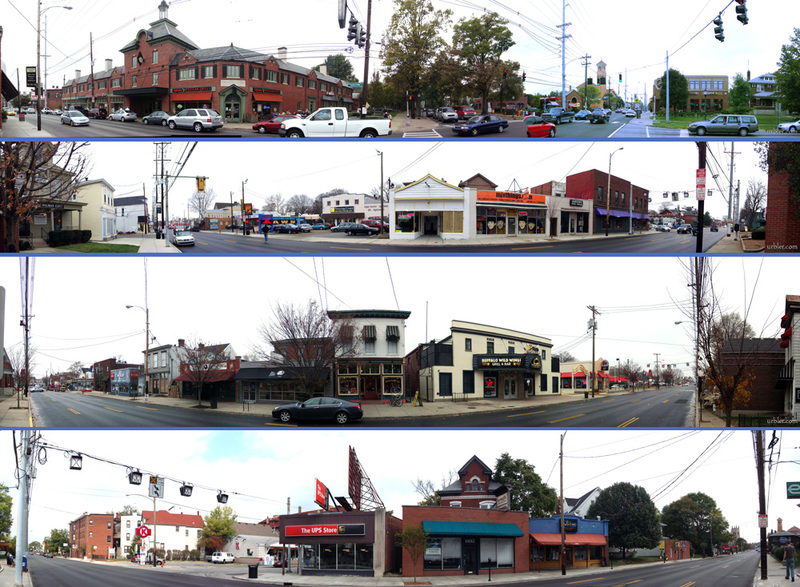 We still love West Main Street and believe it deserves its new top ten title, but we cannot lose sight of the bigger picture: how people use the street. One day when a critical mass of housing and other uses has been established downtown, West Main will likely rate much higher among local residents as a place they will go out of their way to simply be. So what do you think of the poll results? What makes a great street for you? What streets do you think will become great in the future? You have cast your ballot, now tell us how you decided in the comments. Hopefully we will expand on this topic of great streets and how to encourage their development.